Decks will never go out of style, at least not in the foreseeable future. What does go in and out of style, however, are decking trends. 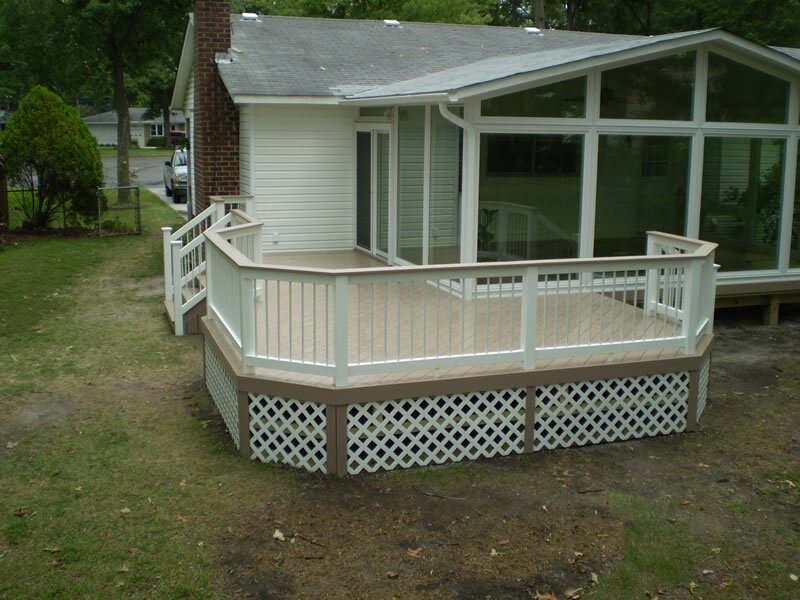 Low Maintenance Decking: Low maintenance decking – in which the frame is still constructed with pressure treated lumber, but the flooring and railings are PVC or vinyl – is a great way to enhance your backyard without the maintenance. Underdecking: Installing a waterproof underdeck on a second-story deck allows you to utilize the space beneath as a covered porch or patio. Water Features: Water features are a great way to add aesthetic appeal to any deck. Deck Furniture: Your deck is an extension of your home, so it only makes sense to make that area as comfortable as possible. To accomplish this, many homeonwers are beginning to utilize outdoor furniture. Today’s outdoor furniture is similar to the furniture you would use in your own home, complete with sofas, glass-topped tables, tall bistro tables with matching stools, and much more! Deck Lighting: Who said your bbq has to stop when the sun goes down? Deck lighting increases the functionality and safety of your deck while also boosting your home’s curb appeal. Freedom Fence and Home: Ok, we are not a trend. It is ALWAYS a great idea to call upon the decking experts at Freedom Fence & Home to handle all of your decking needs. Please take a moment to browse our gallery of wood decks and low maintenance decks (click on any image to enlarge). This entry was posted on Thursday, June 7th, 2012	at 6:33 pm	. Both comments and pings are currently closed.